The Algemeiner reports: Turkey is launching an initiative at the United Nations to annul a decision by the United States to recognize Jerusalem as Israel’s capital, President Recep Tayyip Erdogan said on Friday. Erdogan was speaking two days after a Muslim leaders meeting in Istanbul condemned US President Donald Trump’s decision, calling on the world to respond by recognizing eastern Jerusalem as the capital of a Palestinian state. 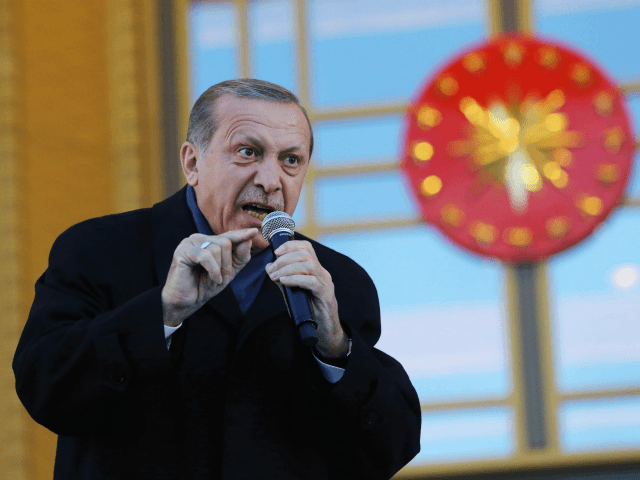 “We will work for the annulment of this unjust decision firstly at the UN Security Council, and if a veto comes from there, the General Assembly,” Erdogan told crowds gathered in the central Anatolian city of Konya via teleconference. The United States is a permanent Security Council member with veto powers, meaning any move to overturn Washington’s decision at the council would certainly be blocked.